You have to spend just two minutes with Sheetal to witness her magic. Her positivity and deep commitment to creating a better world is so infectious. I got lucky — I spent an entire day with her, her brother Kaustabh and father Dr Vikas, when they visited us at Godrej last month. It was a day worth remembering and I want to share with you through this column some of what I learnt from this remarkable family. Let’s rewind to the beginning of the dynasty. Baba Amte, Dr Vikas’s legendary father and Sheetal and Kaustabh’s grandfather, lived many lives in one life. He was the son of a landlord, a freedom fighter, a sadhu and a lawyer, and this was even before he discovered his true calling. One rainy evening, as he walked home after work, he stumbled upon a curled-up leprosy patient, lying almost like a heap of discarded rubbish in a gutter. After some initial revulsion, he decided to take care of the patient, but unfortunately the patient died. And Baba Amte decided to dedicate the rest of his life to the treatment and rehabilitation of leprosy patients and other social outcasts. What a journey it has been! 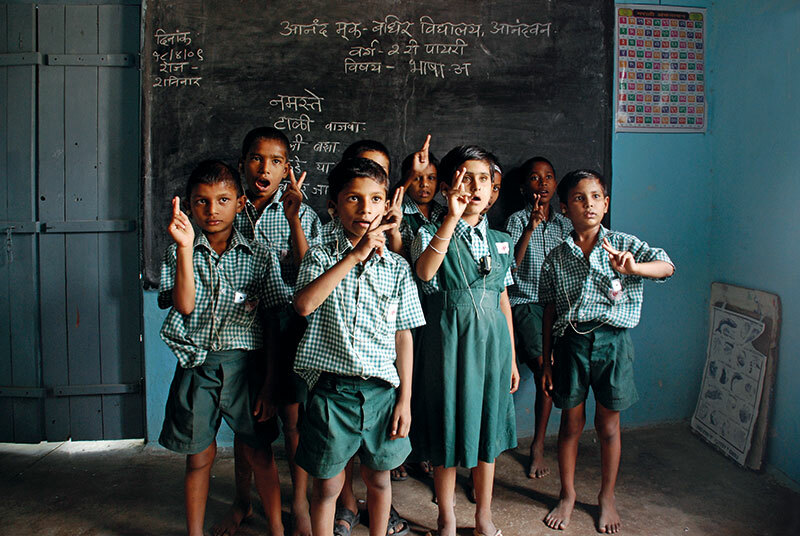 Anandwan has touched two million lives since its inception. It is very difficult to quantify the success of this institution. One way of doing it is by looking at the list of awards the institution and Baba Amte have won over the years — the Templeton Prize, the Gandhi Peace Prize and the Magsaysay Award, for instance — but they reveal very little. Here are some facts though. Today, the Anandwan campus is spread across 500 acres. There are 4,000 full-time residents. Most of Anandwan is green, all kitchens are solar-powered, they use battery-operated vehicles and have a net carbon negative economy. Anandwan includes the world’s first therapeutic theatre (that was launched by His Holiness the Dalai Lama), a school for the blind, an old-age home, an orphanage, a centre for the hearing impaired, a dairy, a cycle manufacturing unit, a greeting card unit…. We could go on and on. Then, there are the sister campuses. In 1973, Baba Amte set up the 50-acre Lok Biradari Prakalp campus, in Hemalkasa in Maharashtra’s Gadchiroli district, which also houses a school, two hostels, a playground, a hospital, living quarters for patients, a dining hall, dormitories for visitors, and a zoo. It is today run by Prakash Amte, Dr Vikas’s brother, and his family. Somnath is another project that Baba Amte set up in 1967 for cured leprosy patients so that they can practise agriculture. Spread over 1,300 acres in the forest of Tadoba, Somnath now grows all the grains and vegetables that are eaten at both Anandwan and Hemalkasa. All of these are all just data points. 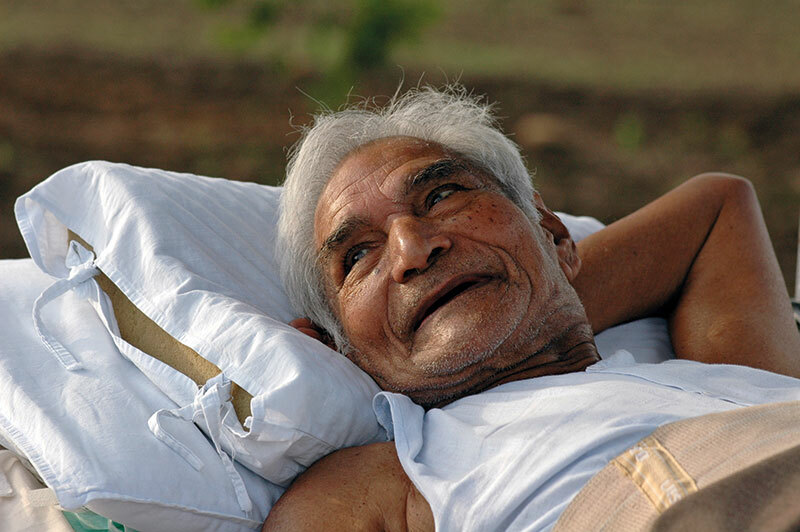 The true magic of Baba Amte and his legacy is one of hope and self-belief, of true transformation of human potential. It is a legacy of how one can create leaders from the most marginalised people in society. Leprosy patients, the visually challenged, the deaf and others all help each other at Anandwan. In fact, they have now become trainers, teaching other so-called ‘normal’ people in society. Anandwan engineers have helped in building post-earthquake housing, and have intervened in the drought crisis in our country by conducting employment training and watershed management in two Maharashtra tehsils. 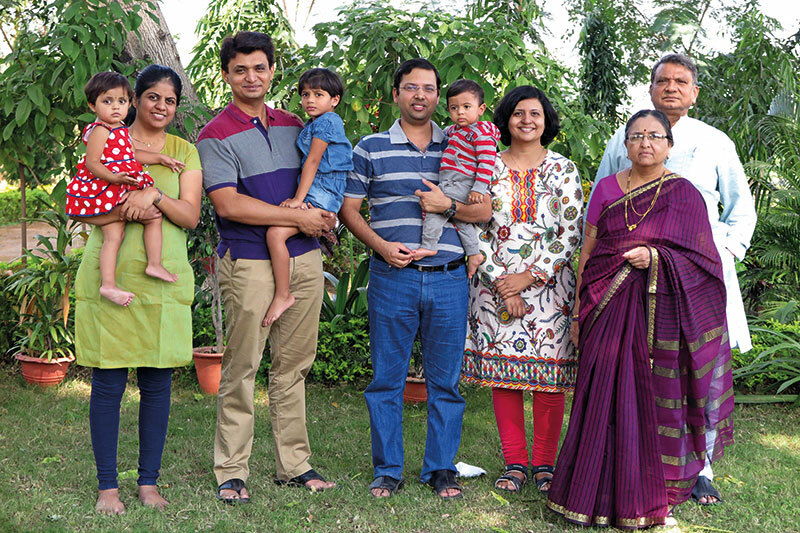 The Amte family members are all, in their own unique ways, furthering Baba Amte’s legacy. As Sheetal told me, each one is so talented that she had a complex while deciding what path to take. “How to innovate in such a family?” she laughed. She joined Anandwan 10 years ago, after completing medicine as well as acquiring a master’s degree in social entrepreneurship, and currently serves as the CEO of Anandwan. Brother Kaustabh, who is both a chartered accountant and a company secretary, has led a lot of Anandwan initiatives in the recent past. For instance, he got the government to change the grant that they give to organisations that are working with leprosy, from 12 rupees to 70 rupees per patient per day. She narrated the example of one such person, Gajanan, who, “before coming to Anandwan, had two options in front of him. Either commit suicide or go mad.” He chose the third way, came to Anandwan, reskilled himself and has since then become an inspirational entrepreneur. First, he started building check dams with reused plastic and old tyres. Then he took over the dairy business and transformed it completely — from a dairy at which people would not buy milk because it came from leprosy patients to one that has 350 cattle and makes a revenue of 1.5 crores per year. Mental rewiring is not easy, Sheetal told me. But three things help. The first is positive reinforcement. “Timely pats on the back enable the brain to rewire itself.” The second is flexibility, or the constant ability to include new thoughts, ideas and practices. At Anandwan, they “enable people to take decisions based on what they want to do”, Sheetal shared, and that is why unlike so many other Gandhian organisations that came up in the 1940s, they’ve survived, and thrived. Thirdly, at Anandwan, people work out of motivation that comes out of a shared dream. “All the Google things are practised,” said Sheetal, smiling broadly. Sheetal attributes all her recent success — whether it is being selected as a UN Innovation Ambassador or a World Economic Forum Young Global Leader — to her choice to focus on her Adam Two. I want to leave you with two closing thoughts, dear reader. Are you focussing on your Adam One or Adam Two, and what are you missing out on in this process? Secondly, the Amtes have a family legacy based on very strong values; what about you, dear reader, have you thought about your values and your legacy?